'Tis the season... And it's about time I posed my first question on Mathematica Stack Exchange. So, here's an holiday quest for you Graphics (and P-Chem?) gurus. 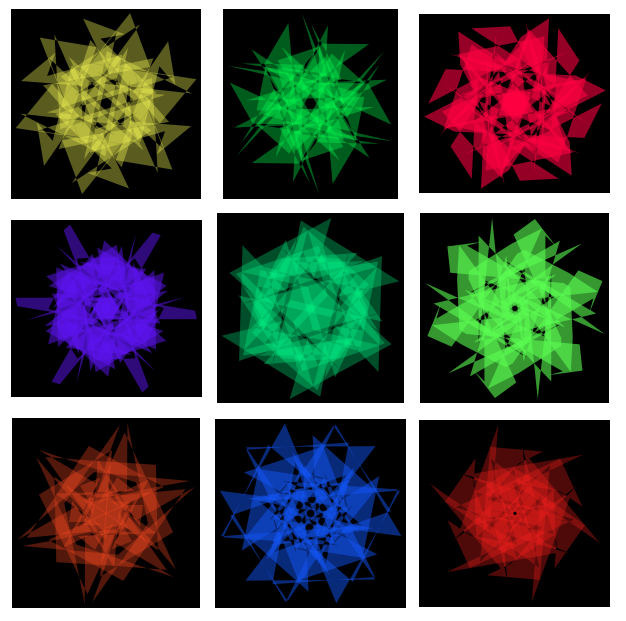 What is your best code for generating a (random) snowflake in Mathematica? 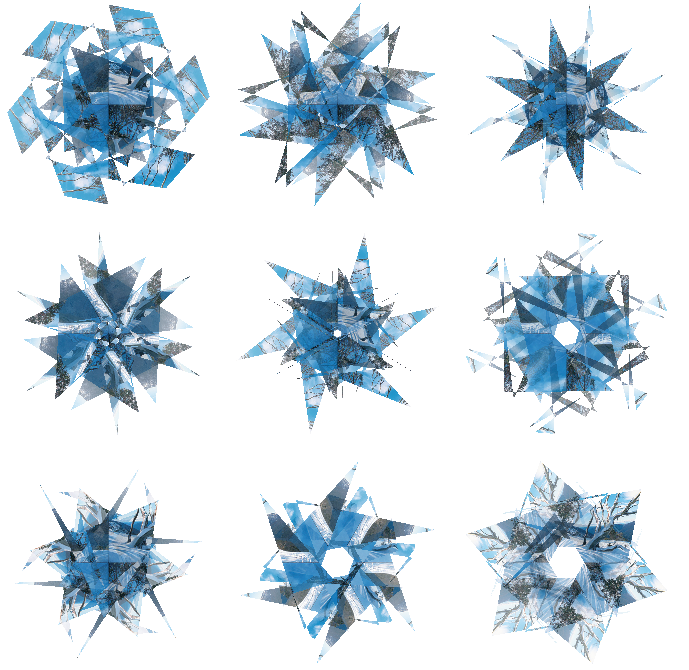 By random I mean with different shapes that will mimic the diversity exhibited by real snowflakes. 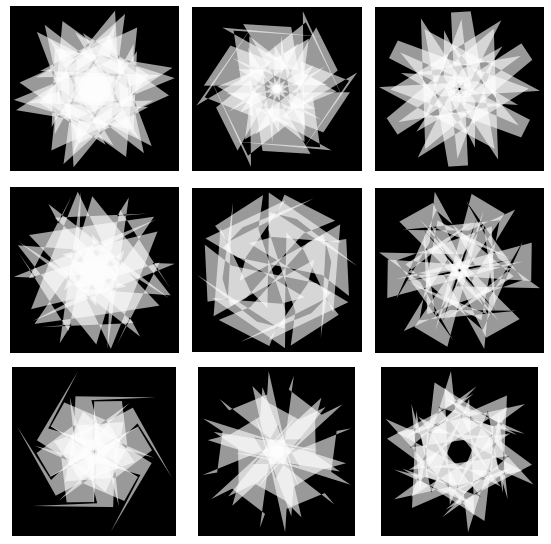 Here's a link to have an idea: http://www.its.caltech.edu/~atomic/snowcrystals/ , more specifically here are the different types of snowflakes: http://www.its.caltech.edu/~atomic/snowcrystals/class/class.htm . Physics-based answers are to be preferred, but graphics only solutions are also welcome. There already is a thread on generating a snowfall, here: How to create animated snowfall? 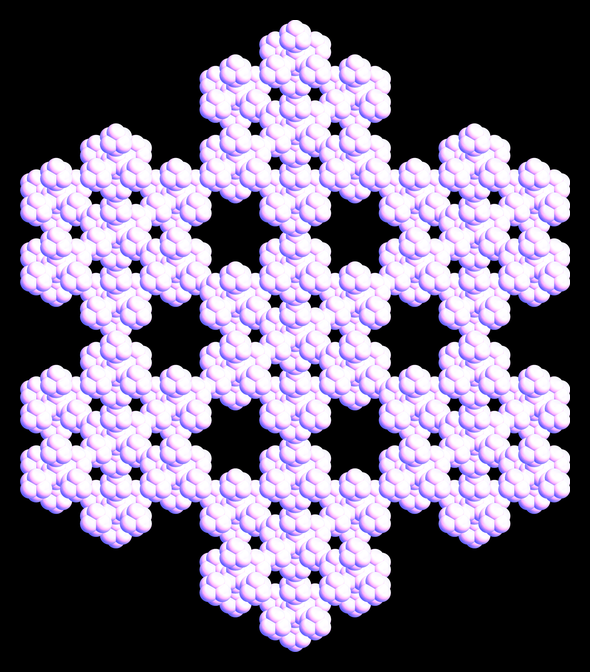 and one of the posts addresses the problem of generating snowflake-like elements. In the snowfall post, though, emphasis is on efficient generation of 'snowlike' ensembles. 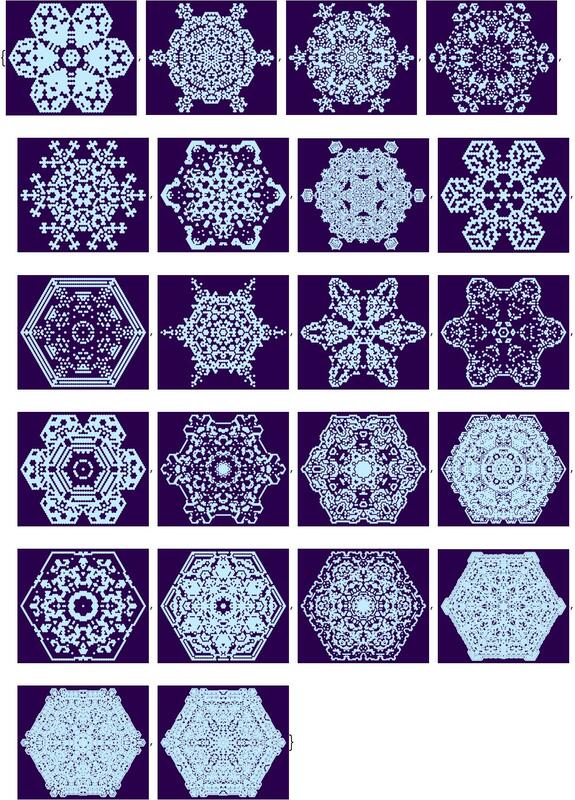 The purpose of this question (apart from having some 'seasonal' fun) is to create graphics that details the structure of a single snowflake. Efficiency is not the primary issue here: beauty is. 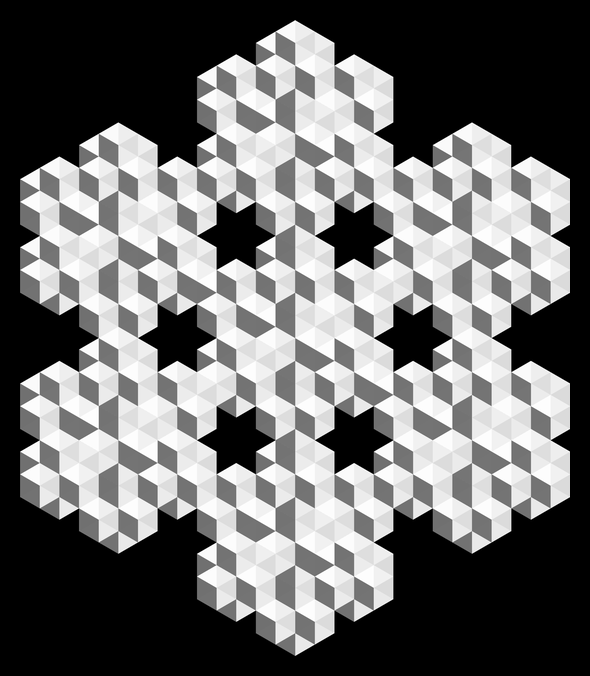 A very detailed snowflake rendering could even take several minutes of computer power, thus making it unsuitable to incorporate into a snowfall simulation. 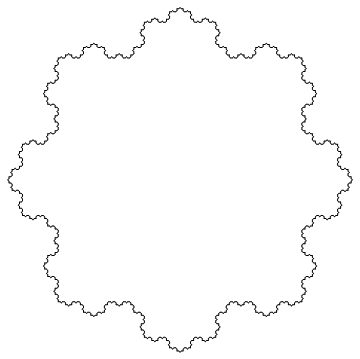 Here we are trying to generate a single snowflake (possibly with different parameters to tune its shape), the more realistic, the better. Three dimensional renderings, for adding translucency and colors are also welcome. Unleash your fantasy, go beyond the usual fractals! 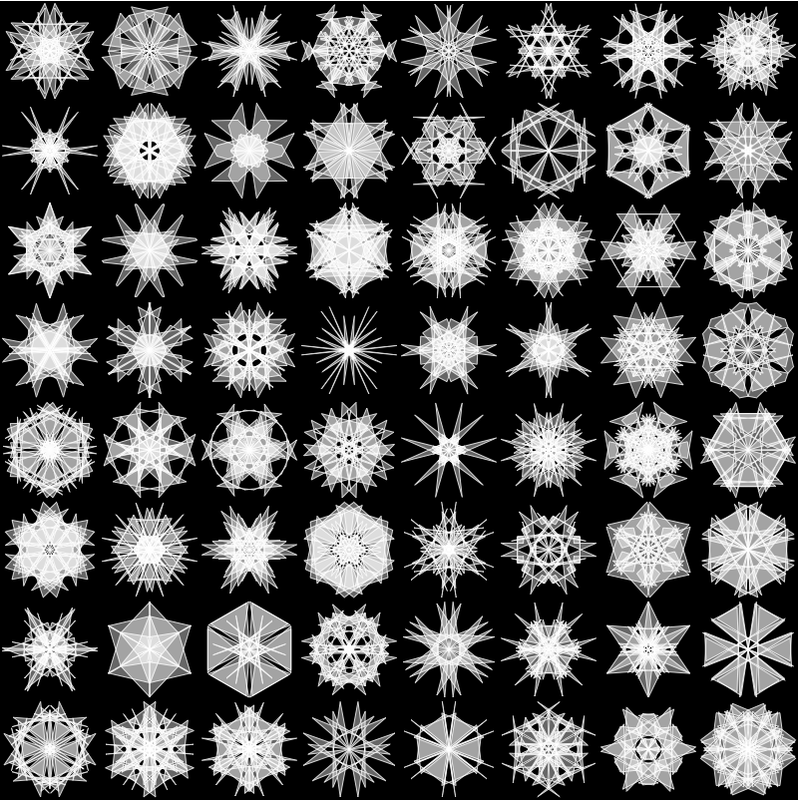 And if your fantasy is momentarily faltering, as Silvia pointed out in a comment below, on this website http://psoup.math.wisc.edu/Snowfakes.htm you can find a lot of information - and even a C program for the Gravner-Griffeath 2D Snowfake Simulator - on how to generate 'virtual snowflakes', even in 3D (have a look at the pdf files: "Modeling Snow Crystal Growth" I, II and III). And the simplest physical rule might be linking different arrangement to different probability of freezing(from $0$ to $1$) or melting(from $1$ to $0$). 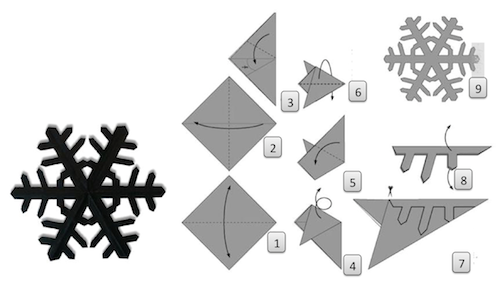 Remember guys how we can cut out a snowflake from a sheet of paper carving 12th folded part? Like the image below. So I decided to write an app to imitate the process. 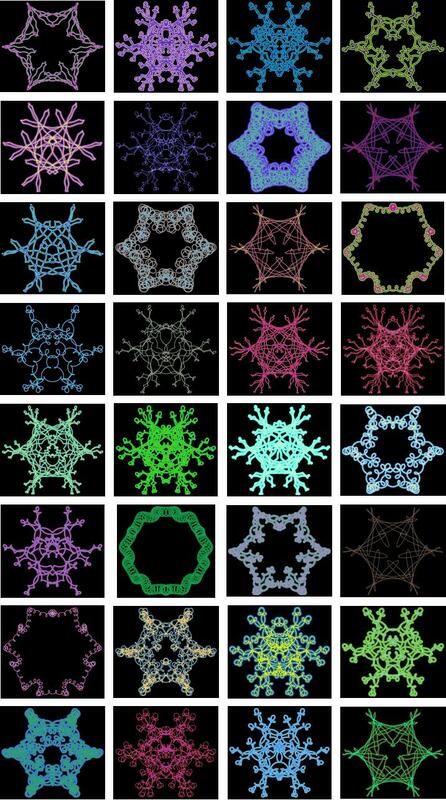 It also can be used to make random snowflakes (similar to to @bill s' but with reflection to imitate real cutting paper process and reflective symmetry of snowflakes). App and random collection are below. @Silvia did a beautiful job, especially at design and explanation. 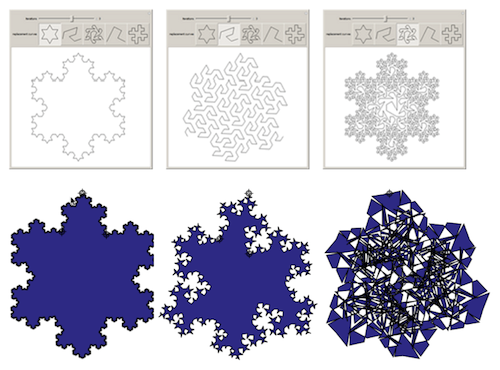 I still want to point out similar things with Cellular Automata (for the sake of a bit alternative implementation) and a bit different things in general. For more complex shapes, increase the value of n, which is the number of sides of each polygon. Here are some examples with n=32. Not so much snowflakes as random artworks with the same symmetry as snowflakes, but I wanted to join in the festive fun! 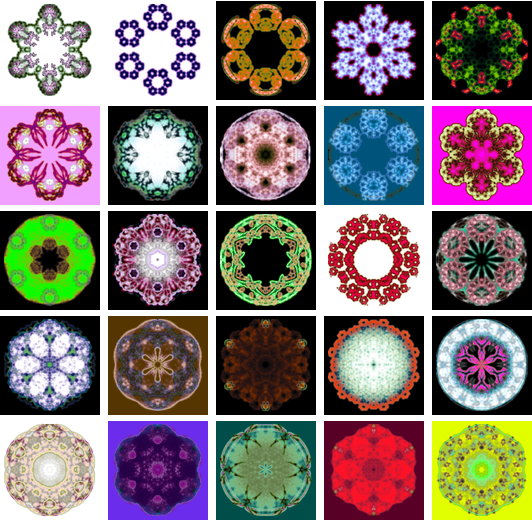 These are generated with a "randomart" package I wrote a while ago (code at the bottom of the answer). 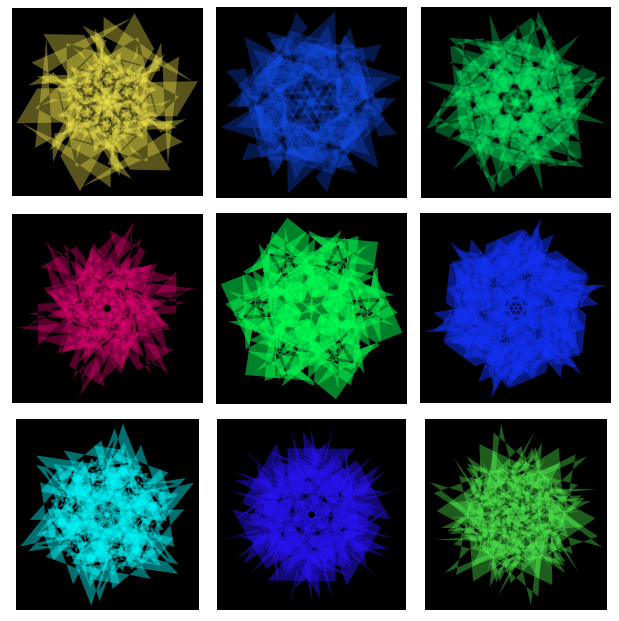 It uses a kind of non-linear iterated function system to generate random images. 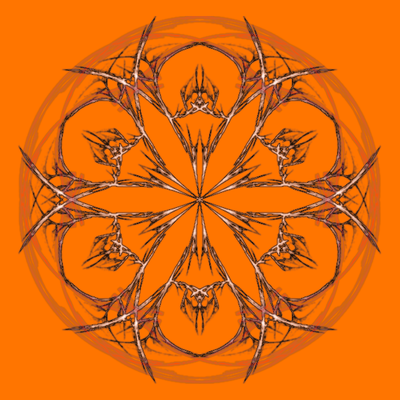 results use no symmetry function and omit m (or set to zero). Large sizes will be expensive in time and memory, 500 is a good size. randomart[size] will produce an image with random parameters. 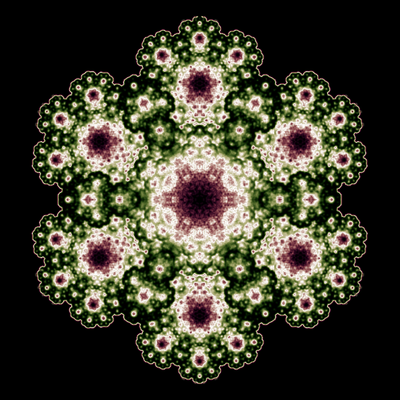 It's a simple 3D cross fractal (this code is a reduced version of this monster). Although it's 3D, you get 2D figures. In this case Koch outlines. 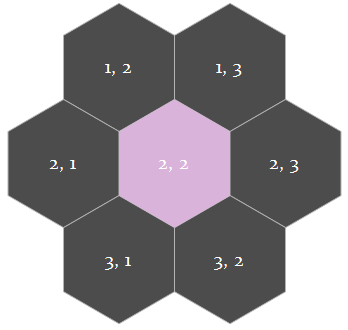 I wonder what kinds of 2D hex systems you could describe in terms of 3D, and vice-versa (e.g. 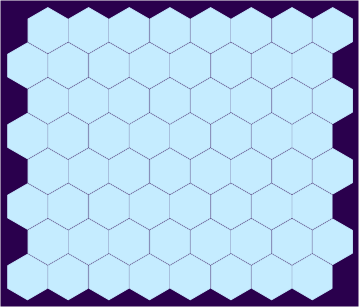 an automaton rule on a 3D grid which is perspectivally equivalent to an automaton rule on a hex lattice). Usage instructions and original golfed version here. Not the answer you're looking for? Browse other questions tagged graphics random simulation generative-art or ask your own question. How to create animated snowfall? 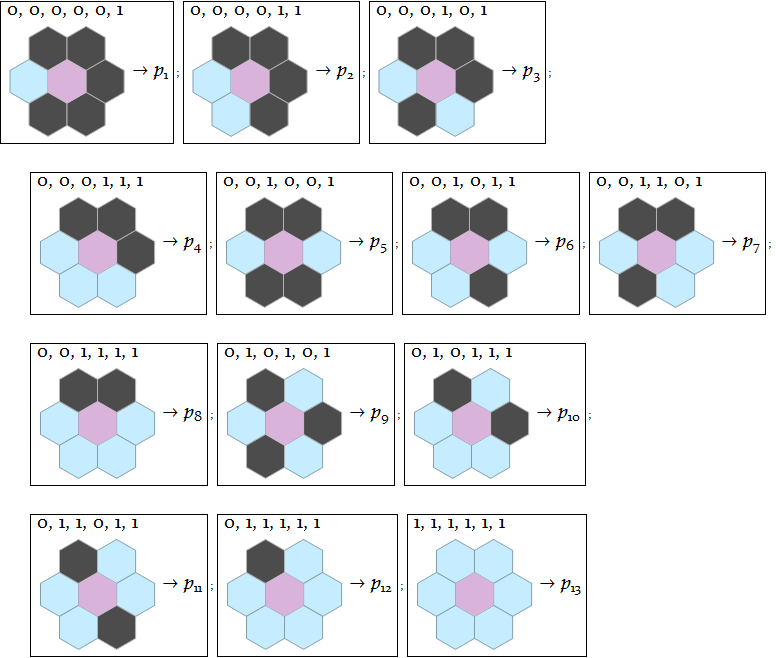 Can you apply the Cellular Automata function to a grid containing numbers? How to generate a random pulsar graph between two points?